New details emerge in Andy Lopez fatal shooting case against Sonoma Co. FILE -- An undated photo of 13-year-old Andy Lopez and the replica assault rifle he was holding when he was shot and killed in Santa Rosa, Calif. on Tuesday, Oct. 22, 2013. 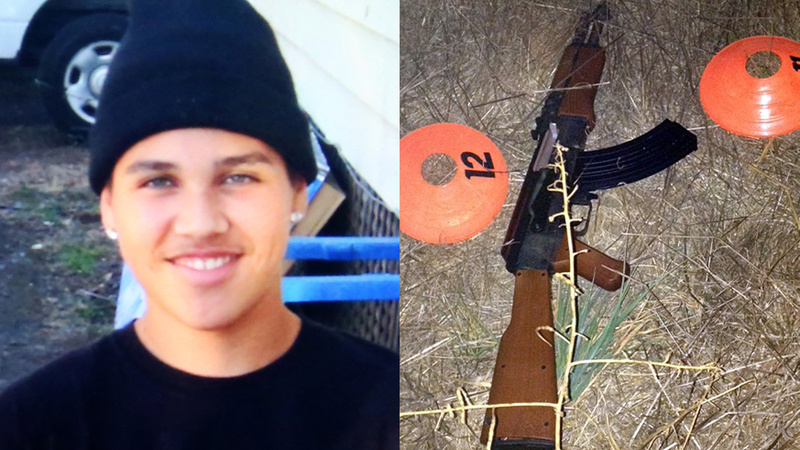 SANTA ROSA, Calif. (KGO) -- Andy Lopez, the 13-year-old boy shot and killed by a Sonoma County Sheriff's Deputy in Santa Rosa two years ago, tried to make his airsoft pellet gun look less "real." That's according to depositions from 2 friends filed this week in federal court. The friends testified Lopez took steps to conceal the gun after the orange safety tip broke off. The deputy in the fatal shooting, Erick Gelhaus, was cleared of criminal wrong-doing, but Lopez's family has filed a civil lawsuit against the county. The Justice Coalition for Andy Lopez accuses the district attorney of mishandling the case after deciding against any charges for Gelhaus and eventually returning him to duty.